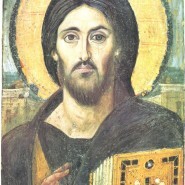 In the Gospel of Luke (Lk 11:1-2) one of the disciples said to Jesus “Teach us to pray. ” They had seen Jesus pray often and understood the importance of frequent prayer. We know that prayer must be at the heart of our own journey towards an ever closer relationship with God but it is not always easy. In this series of presentations we will explore various way of praying and will be presented with practical ways to build a consistent rule of prayer in our lives. Sessions will consist of a presentation and will conclude with prayer. There is no registration. You are welcome to attend any or all of the sessions. LOCATION: Dormition Parish, 15608 – 104 Ave, except April 11, which will be held at Verkhovyna Hall 9637-108 Ave in conjunction with a Home of Hope Fundraiser. 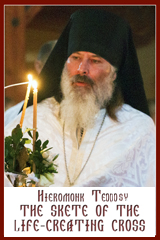 Check the Edmonton Eparchy website for details. Livestreaming will be made available for those at a distance. Contact Bernadette at 780-424-5496 or email education@edmontoneparchy.com to make arrangements.